Bianca Jasmine Lawson (born March 20, 1979) is an American film and television actress. She is perhaps best known for her regular roles in the television series Saved by the Bell: The New Class , Goode Behavior , Pretty Little Liars , and Rogue . She has also had recurring roles in the series Sister, Sister , Buffy the Vampire Slayer , The Steve Harvey Show , Dawson's Creek , The Secret Life of the American Teenager , The Vampire Diaries , Teen Wolf , and Witches of East End . In 2016, Lawson began starring in the Oprah Winfrey Network drama series, Queen Sugar . 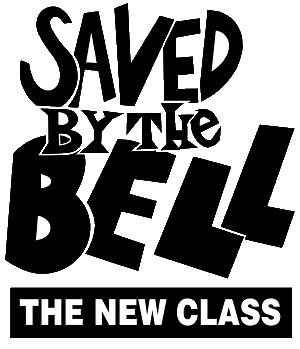 Saved by the Bell: The New Class is a spin-off of the Saved by the Bell series that ran from September 11, 1993 to January 8, 2000. The series lasted for seven seasons on NBC as a part of the network's TNBC Saturday morning line-up. It was the fourth and, at seven seasons, the longest-running and final incarnation of the franchise. Rogue is a police drama television series starring Thandie Newton. Though set in Northern California, the series is filmed in Vancouver. A Canadian-British co-production, the series was co-commissioned by DirecTV's Audience network, and the Canadian premium services The Movie Network and Movie Central. 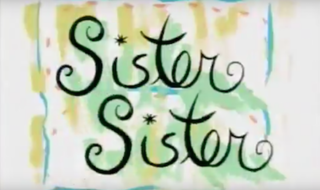 Sister, Sister is an American television sitcom starring identical twins Tia and Tamera Mowry. It premiered on April 1, 1994, and concluded after airing six seasons on May 23, 1999. The premise of the show was that the girls were separated and adopted at birth. One was adopted by a single mother while the other was adopted by a couple, although the mother died a short time later. The two accidentally found each other fourteen years later and reunited. 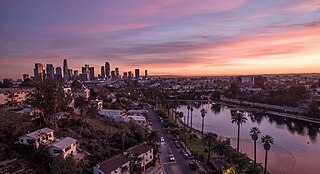 Los Angeles, officially the City of Los Angeles and often known by its initials L.A., is the most populous city in California and the second most populous city in the United States, after New York City. With an estimated population of four million, Los Angeles is the cultural, financial, and commercial center of Southern California. The city is known for its Mediterranean climate, ethnic diversity, Hollywood and the entertainment industry, and its sprawling metropolis. 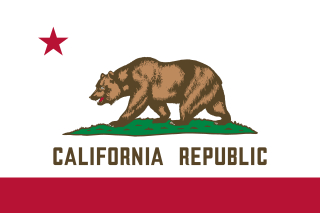 California is a state in the Pacific Region of the United States. With 39.6 million residents, California is the most populous U.S. state and the third-largest by area. The state capital is Sacramento. The Greater Los Angeles Area and the San Francisco Bay Area are the nation's second and fifth most populous urban regions, with 18.7 million and 8.8 million residents respectively. Los Angeles is California's most populous city, and the country's second most populous, after New York City. California also has the nation's most populous county, Los Angeles County, and its largest county by area, San Bernardino County. The City and County of San Francisco is both the country's second-most densely populated major city after New York City and the fifth-most densely populated county, behind only four of the five New York City boroughs. Denise Georgette Gordy is an American former film and television actress. Lawson began acting at the age of nine, having appeared in commercials for Barbie and Revlon. In 1993, she was cast in the television series Saved by the Bell: The New Class as series regular Megan Jones. She appeared in multiple episodes of The WB sitcoms Sister, Sister as Rhonda Coley and The Steve Harvey Show as Rosalind. In 1996, she co-starred in the UPN sitcom Goode Behavior—which lasted for just one season—as Bianca Goode, the teenage daughter of the titular family. In 1997, she appeared in Buffy the Vampire Slayer as vampire slayer Kendra Young. In 1999, she appeared in The WB's Dawson's Creek as rival character Nikki Green. A television advertisement is a span of television programming produced and paid for by an organization. It conveys a message, aimed to market a product or service. Advertisers and marketeers may refer to television commercials as TVCs. In 2009, Lawson was cast as Shawna in The Secret Life of the American Teenager . That same year, she was cast in the CW television series The Vampire Diaries , as witch Emily Bennett. In December 2009, she was cast as Maya St. Germain in the ABC Family series Pretty Little Liars , based on the book series by Sara Shepard. She appeared in that show from June 2010 through August 2012. Since 2012, she has had a recurring role as Ms. Morell in the MTV television series Teen Wolf , based on the original film from 1985. In 2014, Lawson had a recurring role as Eva in Witches of East End . In 2015, she was cast as series regular Talia Freeman in season three of Rogue . The Secret Life of the American Teenager is an American teen drama television series created by Brenda Hampton. The series aired on ABC Family from July 1, 2008, until June 3, 2013. Pretty Little Liars is a series of young adult novels by Sara Shepard. Beginning with 2006's initial novel of the same name, the series follows the lives of four girls – Spencer Hastings, Hanna Marin, Aria Montgomery and Emily Fields. Lawson has made appearances in two different television miniseries. In 1998, she appeared in The Temptations as Diana Ross (whom Lawson is related to through Ross's daughter Rhonda Ross Kendrick); and in 2001, she was cast as Anna Bella Monroe in Anne Rice's The Feast of All Saints . The Temptations is a four-hour television miniseries broadcast in two-hour halves on NBC, based upon the history of one of Motown's longest-lived acts, The Temptations. Executive produced by former Motown executive Suzanne de Passe, produced by Otis Williams and Temptations manager Shelley Berger, and based upon Williams’ Temptations autobiography, the miniseries was originally broadcast on November 1 and November 2, 1998. It was filmed on location in Pittsburgh, PA in the spring of 1998. Allan Arkush directed the miniseries. Rhonda Ross is an American singer-songwriter, actress, and public speaker. She is the daughter of singer/actress Diana Ross. She was born in Los Angeles and raised by Ross and her first husband, Robert Ellis Silberstein. Her biological father is Motown Records founder Berry Gordy. Some of Lawson's film credits to date include Primary Colors (1998), Save the Last Dance (2001), Bones (2001) and Breakin' All the Rules (2004). Primary Colors is a 1998 American comedy-drama film directed by Mike Nichols. 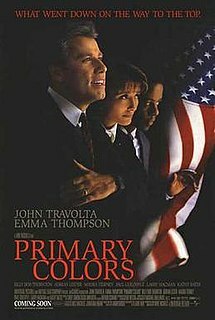 The screenplay by Elaine May was adapted from the novel Primary Colors: A Novel of Politics, a roman à clef about Bill Clinton's first presidential campaign in 1992, which was originally published anonymously, but in 1996 was revealed to have been written by journalist Joe Klein, who had been covering Clinton's campaign for Newsweek. The film starred John Travolta, Emma Thompson, Billy Bob Thornton, Kathy Bates, Maura Tierney, Larry Hagman and Adrian Lester. Save the Last Dance is a 2001 American teen dance film produced by MTV Productions, directed by Thomas Carter and released by Paramount Pictures on January 12, 2001. The film stars Julia Stiles and Sean Patrick Thomas as a teenage interracial couple in Chicago who work together to help the main character, played by Stiles, train for a dance audition. A direct-to-video sequel, Save the Last Dance 2, was released in 2006. Bones is a 2001 American horror film directed by Ernest Dickerson and starring rapper Snoop Dogg as the eponymous Jimmy Bones, a murdered gangster that rises from the grave to avenge his death. The movie is an homage to blaxploitation films of the 1970s and incorporates numerous elements from the genre. Aside from film and television, Lawson provided her voice to the 2011 video game Star Wars: The Old Republic . My So-Called Life Third Bathroom Girl Episode: "Pilot"
1995 Me and the Boys Girl Episode: "The Age of Reason"
In the House Rachel Episode: "The Final Cut"
1998 Silk Stalkings Renee Episode: "Rage"
2001 Strong Medicine Esperenza Maldonaldo Episode: "Control Group"
2002 For the People Asia Portman Episode: "Textbook Perfect"
Haunted Brandi Combs Episode: "Blind Witness"
2004 The Division Marilynn Resiser Episode: "Play Ball"
The Big House Angela Episode: "Almost Touched by an Angel"
2006 Living in TV Land Herself Episode: "Sherman Hemsley"
2009 Bones Albie Episode: "Fire in the Ice"
2010 Nikita Emily Robinson Episode: "The Guardian"
2011 American Horror Story Abby Episode: "Pilot"
2012 Beauty & the Beast Lafferty Episode: "Trapped"
2 Broke Girls Stacy Episode: "And the Silent Partner"
2015 Chicago P.D. Kylie Rosales Episode: "We Don't Work Together Anymore"
Buffy Anne Summers is the titular character from the Buffy the Vampire Slayer franchise. She first appeared in the 1992 film Buffy the Vampire Slayer before going on to appear in the television series and subsequent comic book of the same name. The character has also appeared in the spin-off series Angel, as well as numerous non-canon expanded universe material, such as novels, comics, and video games. Buffy was portrayed by Kristy Swanson in the film, and later by Sarah Michelle Gellar in the television series. Giselle Loren has lent her voice to the character in both the Buffy video games and an unproduced animated series, while Kelly Albanese lent her voice to the character in the Buffy the Vampire Slayer Season Eight motion comics. Alyson Lee Hannigan is an American actress and television presenter. She is best known for her roles as Willow Rosenberg on the television series Buffy the Vampire Slayer (1997–2003), Lily Aldrin on the sitcom How I Met Your Mother (2005–2014) for which she won a People's Choice Award in 2009, and Michelle Flaherty in the American Pie film series (1999–2012). Buffy the Vampire Slayer is an American supernatural drama television series based on the 1992 film of the same name. It was created by Joss Whedon under his production tag, Mutant Enemy Productions, with later co-executive producers being Jane Espenson, David Fury, David Greenwalt, Doug Petrie, Marti Noxon, and David Solomon. 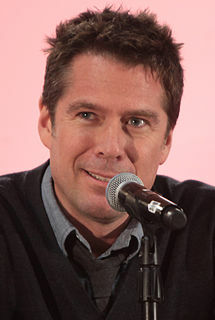 Alexis Denisof is an American actor who is primarily known for playing Wesley Wyndam-Pryce in the television series Buffy the Vampire Slayer and its spin-off Angel. He also had a recurring role on How I Met Your Mother on which his wife, Alyson Hannigan, starred. Charisma Carpenter is an American actress. She is best known for her role as Cordelia Chase in the popular TV series Buffy the Vampire Slayer (1997–1999) and its spin-off series Angel (1999–2004). She has also starred as Kyra on Charmed (2004), Kendall Casablancas on Veronica Mars (2005–2006), Rebecca Sewell on The Lying Game (2012–2013) and Lacy in The Expendables film series (2010–2012). Jenny Calendar is a fictional character in the fantasy television series Buffy the Vampire Slayer (1997–2003). Played by Robia LaMorte, Jenny is the computer teacher at Sunnydale High School. Unbeknownst to Buffy or anyone else, Jenny Calendar has been sent to Sunnydale to keep an eye on Angel. Kristen Noel Swanson is an American actress, best known for her portrayal of Buffy Summers in the 1992 cult film Buffy the Vampire Slayer and the 1996 cult film The Phantom. Her first starring role was in Wes Craven's horror film Deadly Friend (1986), followed by her portrayal of Catherine "Cathy" Dollanganger in the film adaptation of V.C. Andrews's Flowers in the Attic (1987). Swanson starred also in several teen films, including Pretty in Pink (1986), Ferris Bueller's Day Off (1986), Hot Shots! (1991), The Program (1993), The Chase (1994), 8 Heads in a Duffel Bag (1997), Big Daddy (1999) and Dude, Where's My Car? (2000). Joyce Summers is a fictional character in the action-horror television series Buffy the Vampire Slayer (1997–2003). Played by Kristine Sutherland, Joyce is the mother of the main character, Buffy Summers, and appears in 58 of the 144 episodes. Lynn Whitfield is an American actress and producer. She began her acting career in television and theatre, before progressing to supporting roles in film. She won a Primetime Emmy Award for Outstanding Lead Actress in a Miniseries or a Movie and received a Golden Globe Award nomination for her performance as Josephine Baker in the HBO biographical drama film The Josephine Baker Story (1991). Elizabeth Anne Allen is an American actress. Allen is best known for her recurring role as the witch Amy Madison on the television series Buffy the Vampire Slayer. Buffy the Vampire Slayer has had a tremendous influence on popular culture that has attracted serious scholarly attention. Even the language used on the show has affected modern colloquial expressions. "Welcome to the Hellmouth" is the series premiere of the supernatural drama television series Buffy the Vampire Slayer. This episode and "The Harvest" were originally aired as a two-part series premiere on The WB on March 10, 1997. The episode was written by the series creator and executive producer Joss Whedon, and directed by Charles Martin Smith. "Welcome to the Hellmouth" received a Nielsen rating of 3.4 upon its original airing and received largely positive reviews from critics. "Witch" is the third episode of the first season of the television series Buffy the Vampire Slayer (1997-2003). It serves as the show's first regular episode after the Pilot and originally aired in the United States on March 17, 1997, on The WB Television Network. Sometimes billed as "The Witch", the episode was directed by Stephen Cragg and was the first episode not written by show creator Joss Whedon and the first of seven with no vampire in it. The fourth season of the television series Buffy the Vampire Slayer premiered on October 5, 1999, on The WB and concluded its 22-episode season on May 23, 2000. It maintained its previous timeslot, airing Tuesdays at 8:00 pm ET. Beginning with this season, the character of Angel was given his own series, which aired on The WB following Buffy. Various Buffy characters made appearances in Angel, including Buffy herself; Cordelia Chase, formerly a regular in Buffy, and Wesley Wyndam-Pryce, who appeared in Buffy season three. Aeriél Christine Gabrielle "ARI" Miranda is an American actress. She is best known for her recurring role as Shana Fring on the ABC Family series, Pretty Little Liars (2013–2015). She was first introduced as Shana on the web series, Pretty Dirty Secrets (2012), prior to appearing on Pretty Little Liars. Miranda also recurred as Lana on The Nine Lives of Chloe King and The CW series The Tomorrow People. Other roles include Universal Pictures' Straight Outta Compton (2015) and the Oprah Winfrey Network comedy For Better or Worse (2016). Miranda Rae Mayo is an American television actress. She starred as Lacey Briggs on Blood & Oil (2015) and now appears on Chicago Fire as Firefighter Stella Kidd. Tina Lifford is an American actress and playwright. She is best known for her leading role as single mother Joan Mosley in the critically acclaimed but short-lived Fox comedy-drama series, South Central (1994), and her recurring role as Renee Trussell in the NBC drama series, Parenthood (2010-2015). She has starring roles in the feature films Grand Canyon (1991), Blood Work (2002), and Hostage (2005). In 2016, Lifford began starring as Violet Bordelon in the Oprah Winfrey Network drama series, Queen Sugar. ↑ Webber, Stephanie (2015-04-14). "Beyonce's New Stepsister Bianca Lawson Is Famous, Too: Details! - Us Weekly". Usmagazine.com. Retrieved 2017-06-20. ↑ "ABC Family Announces Additional Casting for its Upcoming Pilots "Melissa & Joey," "Untitled Michael Jacobs Project" and "Pretty Little Liars."" (PDF). ABC Family Press Release. December 7, 2009. Archived from the original (PDF) on January 27, 2010. Retrieved 2009-12-30. ↑ Denise Petski. "'Queen Sugar' Adds Bianca Lawson, Greg Vaughan & Henry G. Sanders - Deadline". Deadline. Retrieved 23 February 2016.